Здравейте, приятели! През последните няколко дни ми се случиха доста вълнуващи неща. Седмицата започна с една много приятна и интересна фотосесия, за която ще разкажа повече съвсем скоро. Видях се с близки приятели, с които не бях от доста време и се разходих до любимите си магазини. Не мога да устоя на специалните предложение на Massimo Dutti и това е… Имах време да се отбия и до травел агенцията, с която пътуваме, за да им разкажа за Доминикана и разбира се да обсъдим следващите дестинации. А вие имате ли предложения за нещо по-екзотично? Ще се радвам, ако споделите впечатления в коментар. 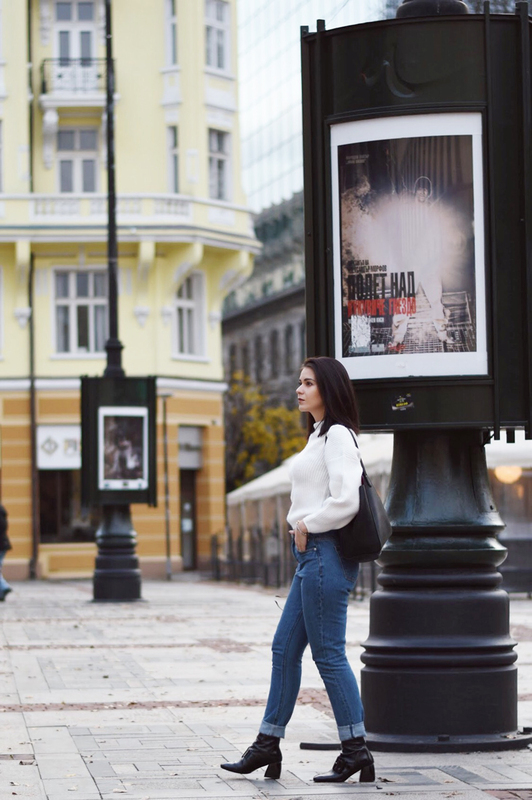 Напоследък ми се налага да бързам от място на място и това постоянно обикаляне не предразполага за избор на много висока обувка. За това се спрях на ток среден размер и супер стилен намачкан лак от Ingiliz. Освен, че получавам страшно много комплименти за ботите си, те са изключително удобни и комфортни. И дават доза шик на всеки аутфит, включително и на днешната casual визия. Hello, guys! The last few days were very exciting. My week started with a very interesting photo shoot, but I will tell you more about it later. I had the pleasure to meet some good friends and visit my favorite stores. The temptation of Massimo Dutti’s special offers were so irresistible that I just couldn’t keep away… I can’t believe, but I even had some free time to visit our travel agency. I shared with them how amazing was our travel to Dominican Republic and of course we had a discussion about our future destinations. For the record if you have suggestions for something more exotic I would appreciate your advice or impressions in the comments bellow. These days I am kind a like on a rollercoaster ride, I need to hurry from one place to another and doing that on heels is not a good idea, that’s why I choose a medium-sized heel and super stylish crushed patent leather from Ingiliz. 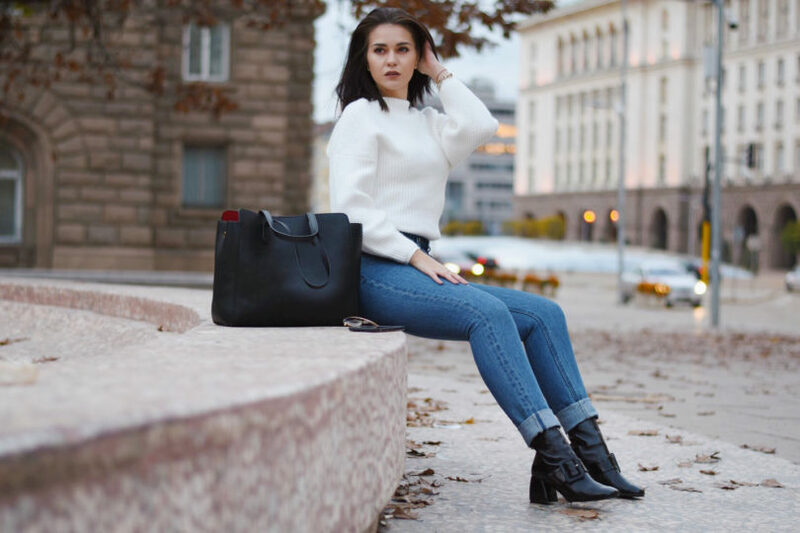 That choice brought me lots of compliments for my boots and I love them, because they are not only beautiful, but they are also comfortable and give a famine accent to every outfit, including today’s casual look. This is such a cute look! I love this white sweater and blue jeans combo and you look very stylish wearing this. 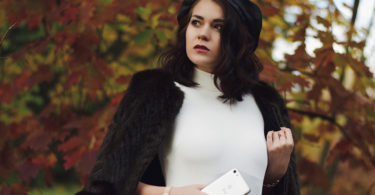 Love this classic fall look! The white sweater is so chic and I adore the boots! Beautiful pictures, I really like the jumper! Such a stylish and cool outfit! These jeans areawesome and you look wonderful! lovely outfit, love the simplicity of the white sweater! I see why you get so many compliments for your boots. I love the heel and I think perfect for every day! Gorgeous sweater! White for winter is always a chic choice! OMG that white sweater is sooooo cool, its simple but its a basic! You look amazing! This sweater is lovely on you. Love your casual chic look! And those boots are stunning! love that white sweater because it’s so classy and elegant, just wonderful! You look fab. Love the bag! I love your outfit. 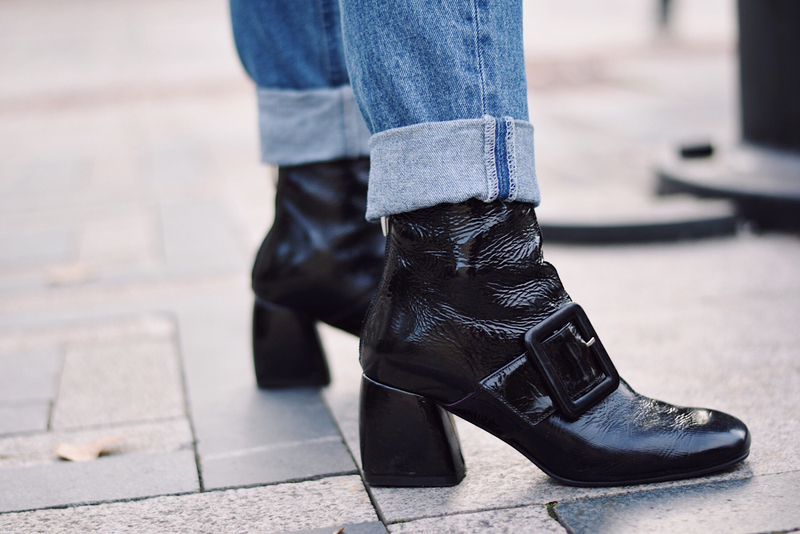 The buckles on the boots are really great and you look stylish and cozy! The bag it pretty practical too! This casual look is so chic!! Absolutely love the sweater and booties. I’m so happy that it’s sweater weather again! This look is literal perfection! 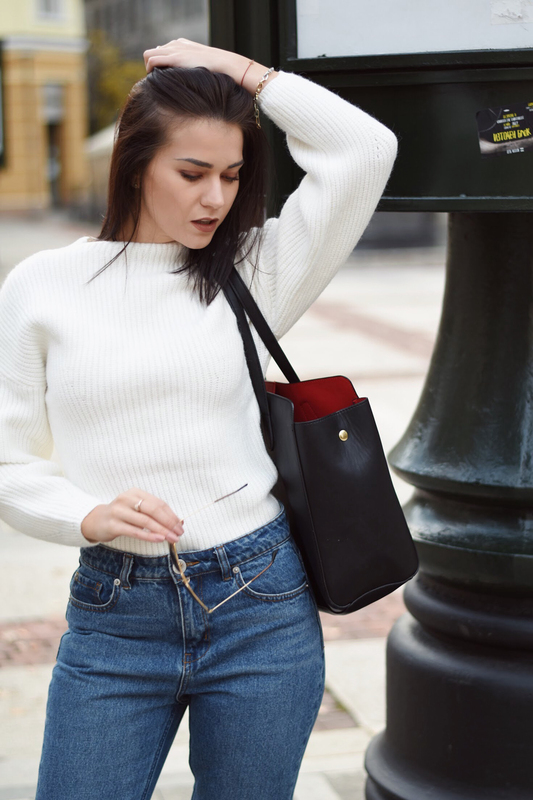 Love how you’ve tucked the jumper into the jeans, as well as that black tote. You’re making me want to buy a ton of chunky knit jumpers! I love this simps yet chic look. 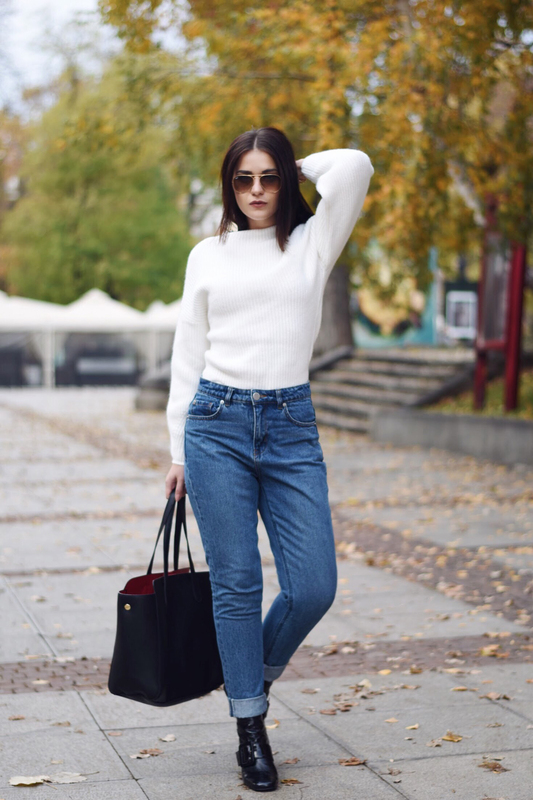 You can never go wrong with a white sweater and a pair of jeans. I love your ankle boots, the leather and the buckle stand out. I know what you mean – Massimo Dutti is so great. But never bought something there yet — unfortunately. Lovely look – especially your boots.